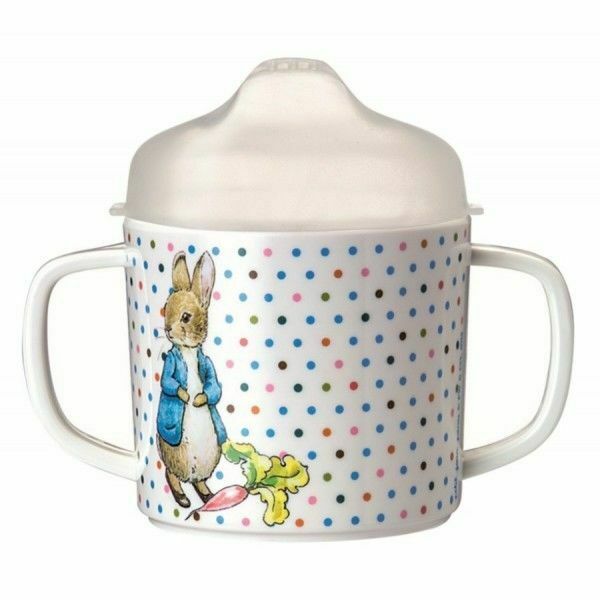 A delightful double handled melamine cup for young children with a Peter Rabbit design by Petit Jour Paris. 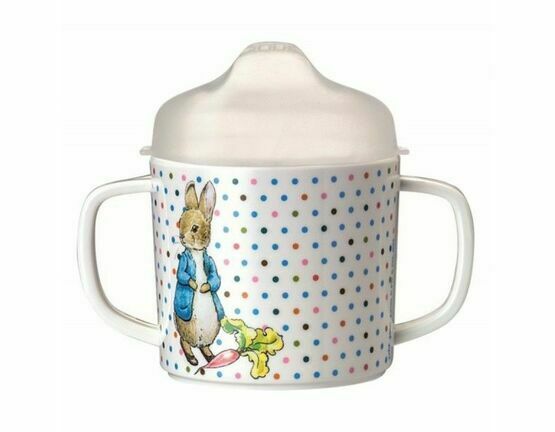 The cup has an anti-slip base and a removable plastic sipping lid. 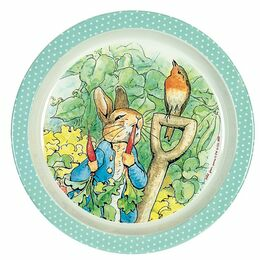 Inside the base of the cup is a charming image of a little mouse beneath a towering strawberry plant. 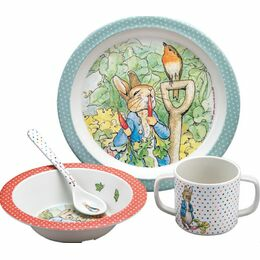 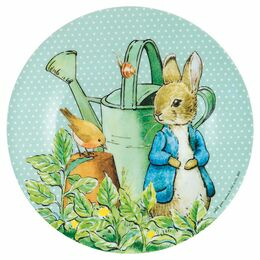 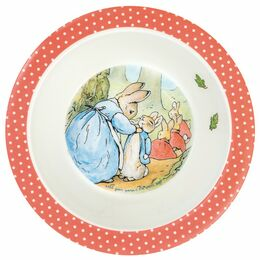 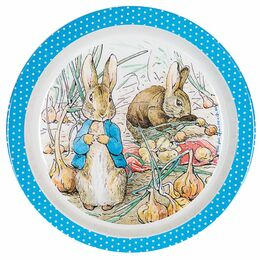 There are a wide range of Peter Rabbit designs which co-ordinate together including plates, bowls, mugs and spoons. 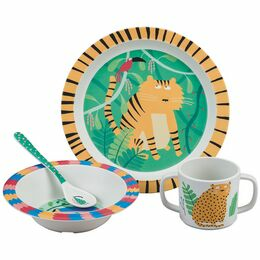 This melamine beaker is really sweet. 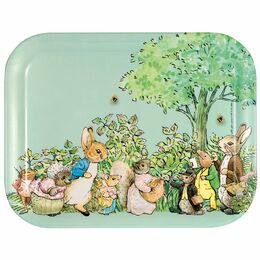 The colours and design are perfect and it will make an ideal Easter gift for my grandson. 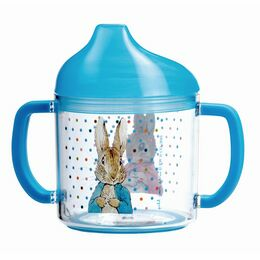 Really lovely design with a surprise picture inside at the bottom of the cup. 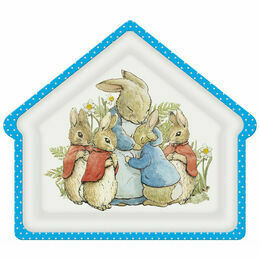 Already a favourite to use and great quality item. 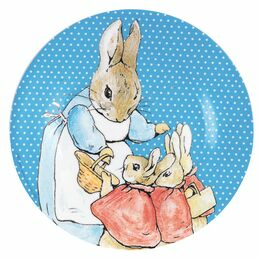 Thank you Birdkids!